ARE MARKETS GOOD FOR FOOD BUSINESSES? 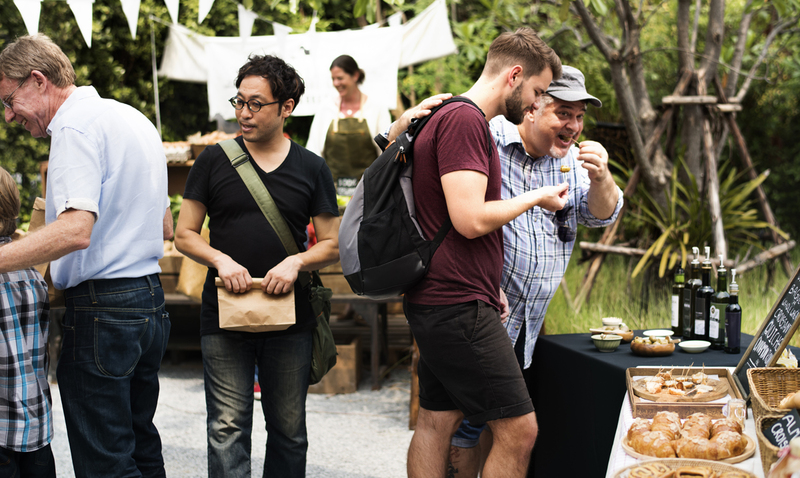 Small food businesses are obvious candidates for markets. 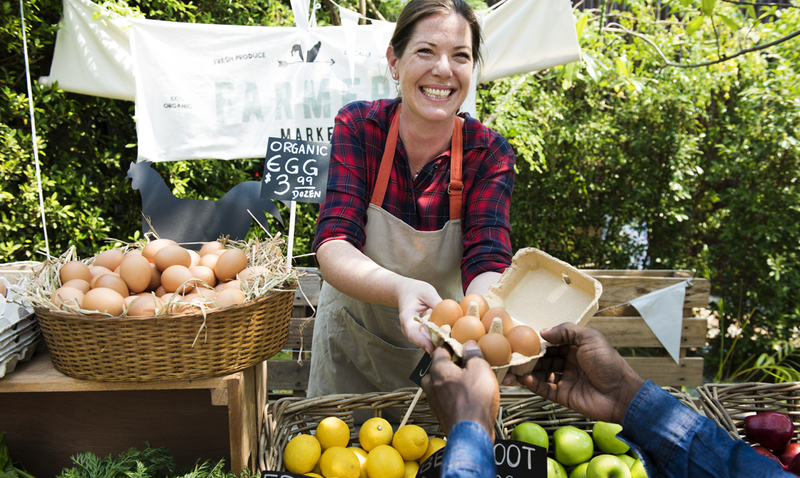 For those just starting out, attending markets as a customer first can be a great way to learn how established and successful operators do it. Pick up tips on how they display their products and engage with customers. Do your research and pick the right market – is it a good fit for your business? It might have a theme that suits, or it may be in an area where your potential customers are. Make the most of your effort – let everybody who could possibly be interested, know what you are up to on social media. Use Instagram’s geo-tag feature to show your followers where you are physically located, and use event-specific hashtags on the day. Upload regular tantalising images leading up to the event, and feature photos of your customers tucking into your products on the actual day (with their permission of course – it’s a good idea to keep a stack of model release forms handy). 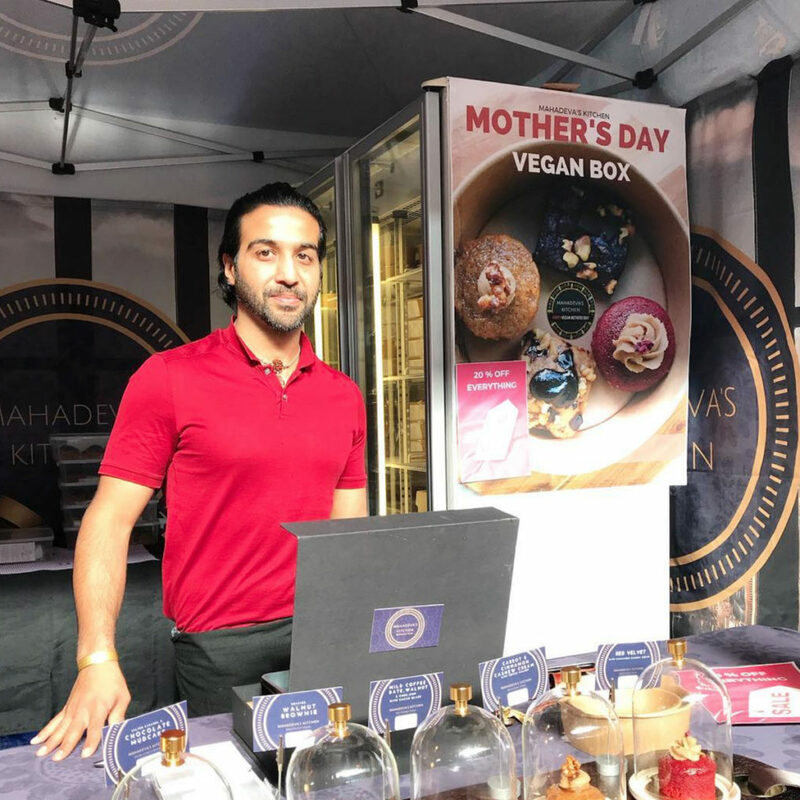 Former NEIS client Big Bite Dutch Treats have an energetic Instagram account featuring happy market customers enjoying their hot Dutch waffles! Last, but not least, don’t forget to do it right! You will be familiar with the standards you are required to meet on your own premises, but there may be differences or additional requirements at a temporary market setup. It is likely you will need some type of registration, license, permit or insurance to run your stall. This may even involve footpath usage or obstruction permits. 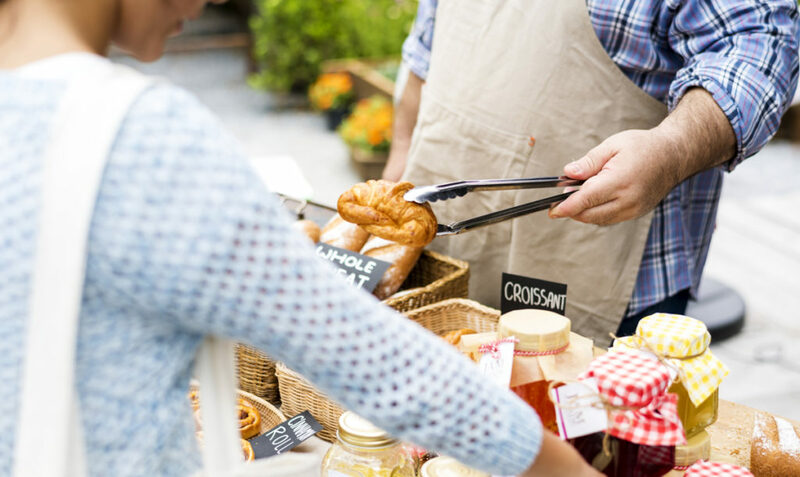 You may already have insurance policies for your business and products, but do they apply to selling at markets? There are specific policies available, often known as Market Trading Insurance. Check with your appropriate state body for all the details. For food safety, codes and liability information visit the markets page on the Australian Government business website. The Australian Farmer’s Markets Association have a Market Food Safety Guide available online. For the right businesses, hard work will turn into sales and new clients. Do your research and wear a hat! 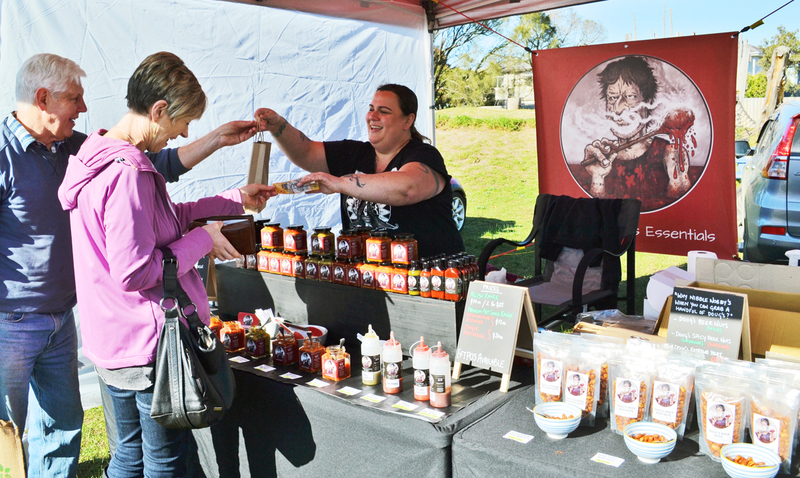 Interested in starting your own small food business? Take the first step to becoming self-employed with free NEIS training. Use the postcode search tool to locate your nearest NEIS provider for a chat.